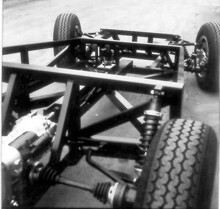 The Fabino body design elaborated outside the company was quite singular. 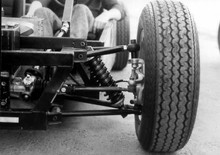 While keeping the buggy style it was different from others. It could be driven with open sliding doors to offer “open-air” feeling and made remarkable easy to step in and out of the car. 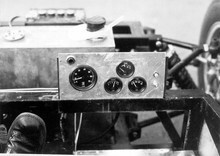 The body was made of one mould only and utilized the inner “30cm extended bathtub” from the serial buggy. 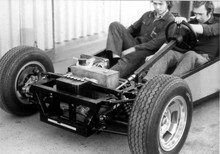 The Fabino should have gone into road test with the new P1 chassis by end of June 1974. Front screen; safety glass (sigla) with integrated roll-over bar. 7' 5" 4' 5" 4' 6" 10' 6" 5' 5" 0 (0) 29' 0"